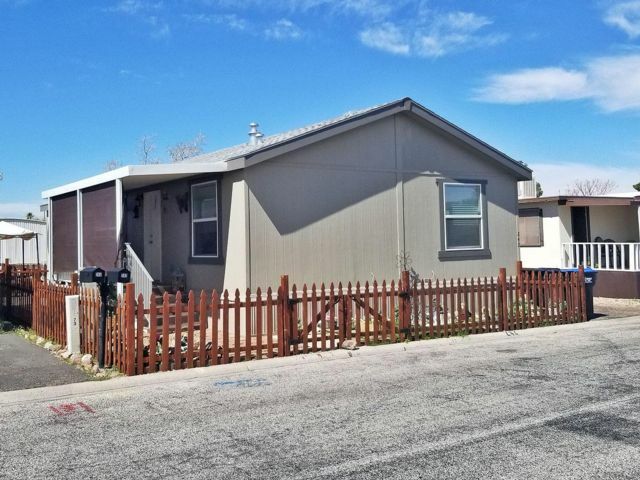 242 Villa Hermosa Mobile Home For Sale - 2017 Cavco 24x48 3 Bedroom 2 Bath2050 Magic Way, Las Vegas, Nevada 89002What can we say about a slightly used, almost new home? This one features 3 bedrooms and 2 bathrooms and is in one of Henderson’s finest all age communities where the space rent is still only $530.00. better call soon to see this one before it is gone. It’s in Villa Hermosa, site #242 and only $75,000.00.a slightly used, almost new home? This one features 3 bedrooms and 2 bathrooms and is in one of Henderson’s finest all age communities where the space rent is still only $530.00. better call soon to see this one before it is gone. It’s in Villa Hermosa, site #242 and only $75,000.00.